Save on everything you need for your lawn and garden with this month’s Ace rebates. Get up to $6 back by mail when you buy Weedblock Landscape Fabric. 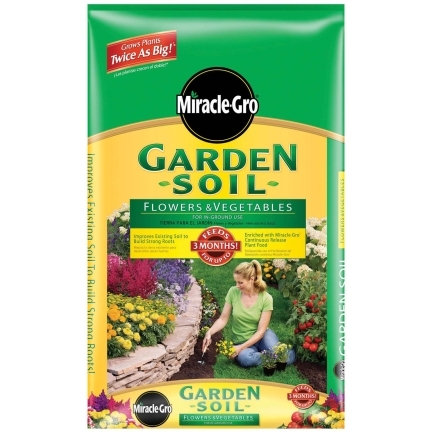 Get a $2 rebate when you buy Miracle Gro Flower and Vegetable Garden Soil (1 cu. ft). Get a $5 rebate when you buy Miracle Gro Moisture Control Potting Mix (2 cu. ft.). Get $4 back by mail when you buy Osmocote Potting Soil (1.5 cu.ft.). Get $2 back by mail when you buy Osmocote Planting Soil (1 cu. ft). Save $1 after mail-in rebate on Nature Scapes Advanced Color Enhanced Mulch (select colors). You can claim this rebate up on up to ten 2 cu. ft bags. Save $3 after mail-in rebate when you buy Whitney Farms Organic & Natural All-Purpose Plant Food (4 lb). Get a $4 rebate on Roundup Weed & Grass Killer. Your purchase must be made between April 28 and May 31, 2013, to qualify. Members of Ace Rewards can submit their rebate claims online and save on postage. New to rebates? Read Simple Tips for Getting Rebates. Then check out other mail-in rebates available and start saving!